The wildly successful Madison Avenue ad campaign of the late 60s starring a fictional spokesman is credited with helping to save Colombia’s coffee industry. To this day the world views Colombian coffee favorably despite the political instability of that country. 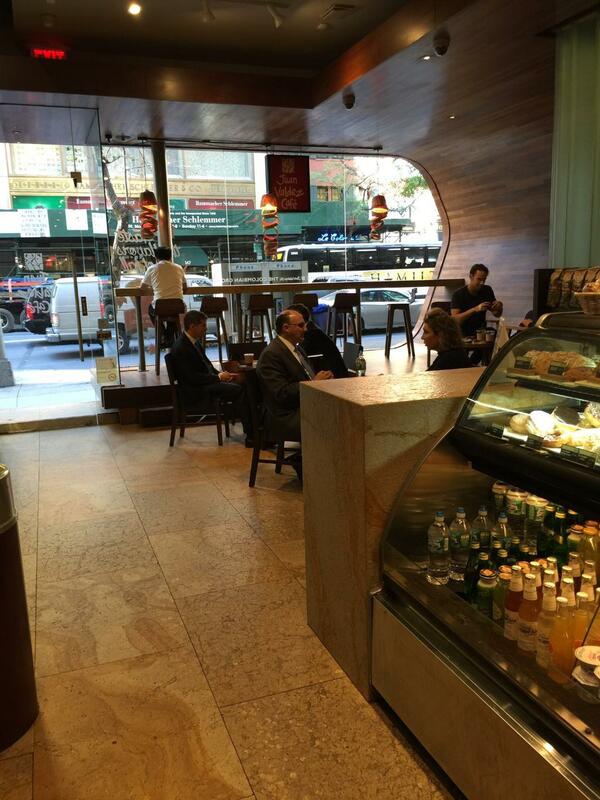 New York City was the first international location of Juan Valdez Coffee Shops. Sadly, the Juan Valdez actor who portrayed a humble coffee farmer in print and TV commercials has died. Carlos Sanchez, who for decades played the amiable was 83 when he passed away early this year in his hometown of Medellin. The good news, however, is the Juan Valdez coffee brand has a chance to live a much longer life as more than 300 coffee shops bear Juan’s name worldwide. For example, in December 2002, the first Juan Valdez® Café store opened its doors at El Dorado International Airport in Bogota. By 2004, the first JV coffee shops opened internationally in Washington, DC; New York and Miami. Juan Valdez coffee shops are found in dozens of countries from Columbia, of course, to Bahrain, London, USA and most recently Malaysia. 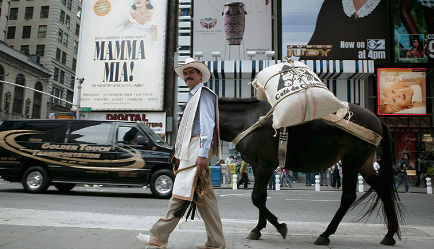 Juan Valdez as an organization claims it is the only brand owned by the coffee growers themselves. Each bean of 100% premium Colombian coffee represents the dedicated efforts of more than 500,000 coffee growing Colombian farmer and families. 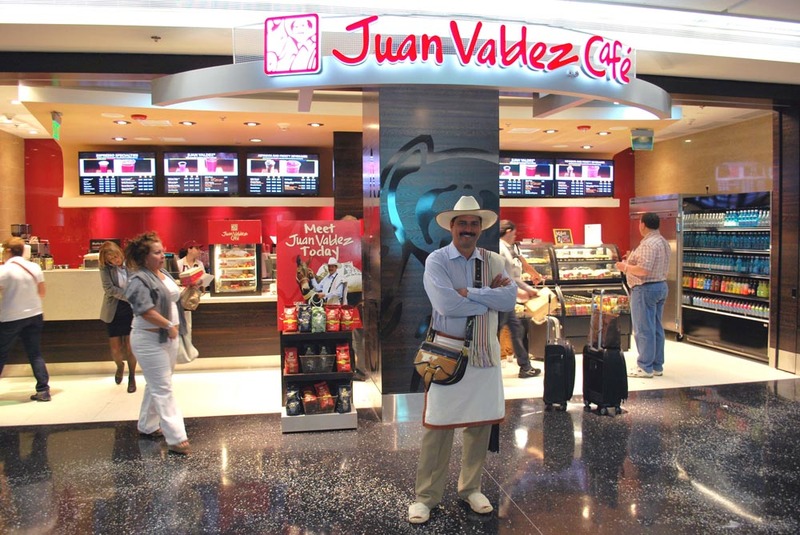 Airports worldwide carry the Juan Valdez Coffee brand.